2001 : Clinic Fellow in Hand and Microsurgery, Chrisurgery M.Kleinert Institute for Hand and Microsurgery, Louisville, Kentucky,USA. 1999 : Research Fellow in Hand and Microsurgery Unit , Department of Orthopedic Surgery, Mayo Clinic, Rochester , Minnesota, USA. 1996 : Clinic Fellow in Hand and Microsurgery, Chrisurgery Unit, Department of Orthopedic Surgery,Faculty of Medicine Siriraj Hospital, Mahidol University, Bangkok, Thailand. 1995 : Thai Board of Orthopedic Suygery Faculty of Medicine, Prinece of Songkla University Songkla, Thailand. 1991 : M.D. 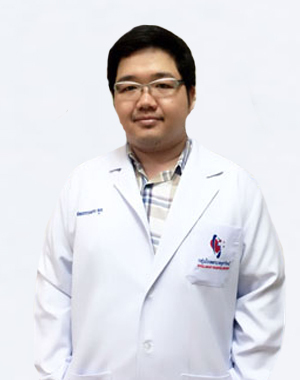 (second Honors) Faculry of Medicine, Prince of Songkla University Songkla, Thailand. 2001 : Certificate of Hand and Microsurgery Fellowship,Christine M. Kleinert Institute, Louisville, Kentucky, USA. 2000 : Certificate of Visiting Scientist in Hand and Microsurgery, Mayo Clinic, Rochester, Minnesata USA. 1996 : Certificate of Hand and Microsurgery , Department of Orthopedic Surgery,Faculty of Medicine Siriraj Hospital Bangkok, Thailand. 1991 : Certification of Medical License, Thailand. 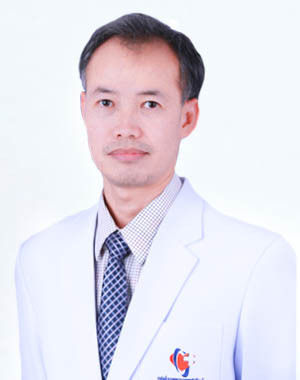 Assistant Professor and Chif of Hand and Microsurgery Unit, Deparment of Orthopedic Surgery,Faculty of Medicine Siriraj Hospital Mahidol University, Bangkok, Thailand. วันอังคาร 10:00 - 15:00 น. วันพุธ 08:00 - 12:00 น. วันพฤหัสบดี 10:00 - 12:00 น. วันศุกร์ 08:00 - 12:00 น.